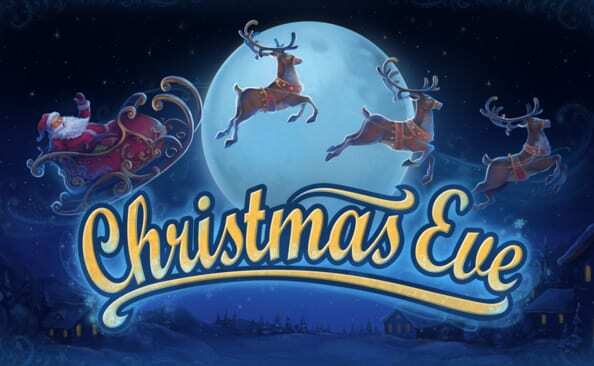 Ah, the beloved Christmas themed casino slots on the internet has been revitalised, and this time the main focus is on the night before Christmas, otherwise known as Christmas Eve. This game possesses a floating gameboard filled with letters, presents, and snowglobes, hovering over a picturesque Lapland township with snow-capped roofs and gingerbread houses. 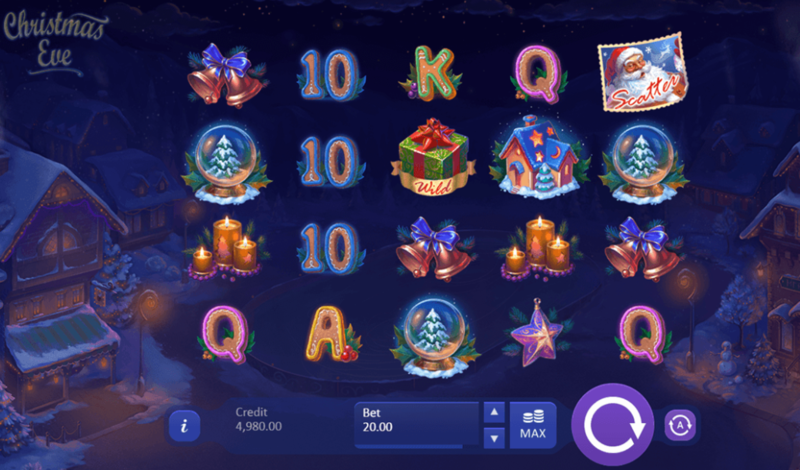 There’s no reason why you can’t feel festive all year around when you play this festive exclusive online slots games. devs lose sight of what is most important in the industry and are doomed to fail from the start. sure to make you laugh, cry and cheer in joy as you see the money just rolling in. Christmas Eve comes but once a year, and the opportunity to play the best-rated online slots is not. If you don't want to wait a long time for this day of festivities there is also Playson’s online slot: Christmas Eve to keep you from going insane. Santa’s little helpers are normally around to assist on this joyful night but fear not for you are perfectly capable riding solo. You’ll find all the typical gifts in this slot from wilds, free spins, scatters and guaranteed multipliers to help you reach the upper echelons of high scores and even higher payouts. This game takes place above a starry snowy sky with houses just beyond your reach. There’s smoke coming from the chimney so it looks like someones home! It also appears Santa won’t be able to get down the chimney without burning himself to a crisp so it looks like it’s up to you to save Christmas (all year round yay)! Christmas Eve’s design is very reminiscent of a holiday card you might get from a family member or loved one. It’s very stylised in that old fashioned feel that is sure to make you feel Christmassy if nothing else. Tinged purples and oranges really make you feel warm inside. The font is also very in-line with the type of season. You also have Santa and just a couple of his reindeer flying atop the screen to always keep you reminded of the joy that Christmas brings. The soundtrack for this game is the icing on the cake. Every-time the player creates a winning combination you will hear the sounds of sleigh bells. A very nice touch! There are a total of 1,024 ways to win with every spin. Bets start from as low as 20p to the max of £60. To adjust your settings for each pay-line you can click on the bet box that will give you a little more leeway in how you want to play. Like most games, Christmas Eve comes with an auto-play feature that allows you to play hands-free from settings you've created to run off in the background. You can auto spin anywhere from 5 spins to 999 so it all depends on you. You reserve the right to cancel those spins at any time by simply going back into the game itself. Symbols on the reels take the shape of a variety of Christmas themed items including candles, ornaments, snow globes and houses. You then, of course, have the wild which is represented via a green gift. Hitting this symbol will swap all other symbols on the reels except the scatter. The scatter is the face of jolly ol Saint Nick himself. Match the embodiment of Christmas itself to win up to 10 free spins! If you get sick of this game then why not try a change of theme with our eastern dragon slot.